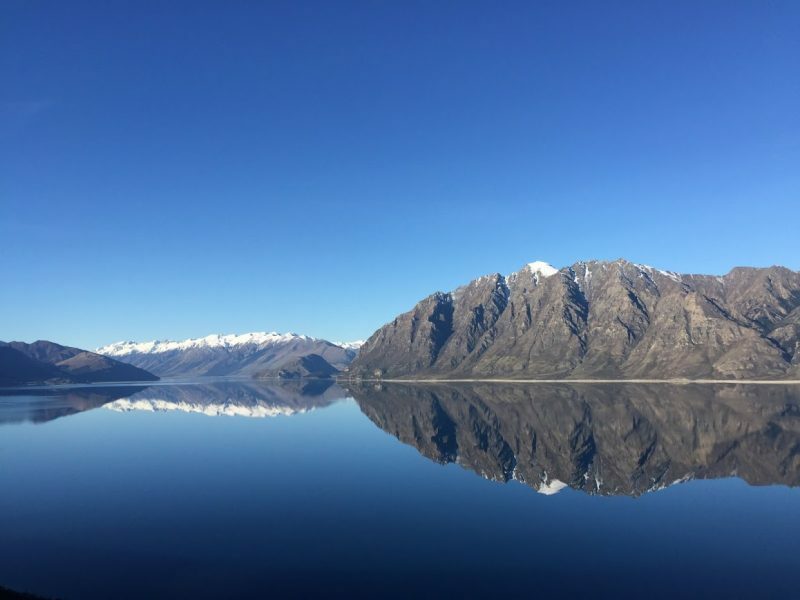 When I got to New Zealand, I couldn’t believe my eyes. It took me a whopping 30 hours altogether (luckily I had spent 1 day in Singapur, and 4 in Sydney meanwhile) to finally get to Christchurch, the largest city of South Island. After a few days of a dilemma, where I couldn’t decide if to explore the North or the South Island (both looked gorgeous but I only had 10 days) I opted for the South Island. I had been told: go North if you want a milder weather, cultural inspirations, and history; go South if you want awe-inspiring landscapes and nature. If you know me a bit, you are aware I couldn’t help going South. I arrived in Christchurch at 2 AM, I picked up a sim card at the airport and I jumped in the shuttle bus to get to my accommodation. My first encounter with the Kiwis (as the people from New Zealand are called) was funny. I could barely understand them! Contrary to Australians, which are very easy to understand, the Kiwis speak in a quite humorous way. Basically, they pronounce everything with an “ee”. If you say “where” they woud say “wheere”. If you say “ten minutes” they would say “teen meenutes”. The vowels in “square” and “near” are the same in NZ. All the vowels are quite flattened, so “fish and chips” is pronounced “fush and chups”. If you add up the fact they have different intonation, they shorten absolutely everything (like “brekkie” for breakfast, but this is something also their Aussie neighbors do) or have some common words replaced completely (like “dairy” for “local shop”), you will understand why at the beginning I thought for a second that they were speaking Maori language to me. Luckily, after a few days and some new Kiwi friendships, my communications issues were -pretty much- solved. But let’s go back to Christchurch. I got to my accommodation at night, the Jailhouse Accommodation which I booked only because it was relatively close to the train station. In fact, only a few hours later, I had the Tranzalpine train that would bring me from Christchurch to Greymouth with a very scenic journey through the Alps. – Yes, I also thought the Alps were only in Europe but apparently, they are also in New Zealand. Basically, NZ has named their Alps after our Alps because they looked similar. As this train is targeted only to tourists (there is an audio guide as well and some parts of the train are actually open so you can better enjoy the views), this ticket is usually quite expensive. However, I had it included in my (already very expensive) Stray pass, that would cover all of my transportation for my New Zealand trip. So I was all ready to enjoy majestic sceneries and astonishing views. As the train was going through mountains and lakes and rivers and snow-capped peaks, I could still see the beauty of the surroundings but 1. All the pictures were looking horrible 2. It would have been sooo much better if it was sunny! We stopped at Arthur’s pass and, as promised, everybody went out so I started lying in several rows of seats at the same time just because I could, often forgetting about the landscape at all. We arrived after less than 5 hours to Greymouth. In the last hour, it wasn’t even raining anymore and the sun appeared. By then, the views were pretty average so I was taking pictures of random sheep. I jumped into my bus and met some of the people I would end up spending a few days with. 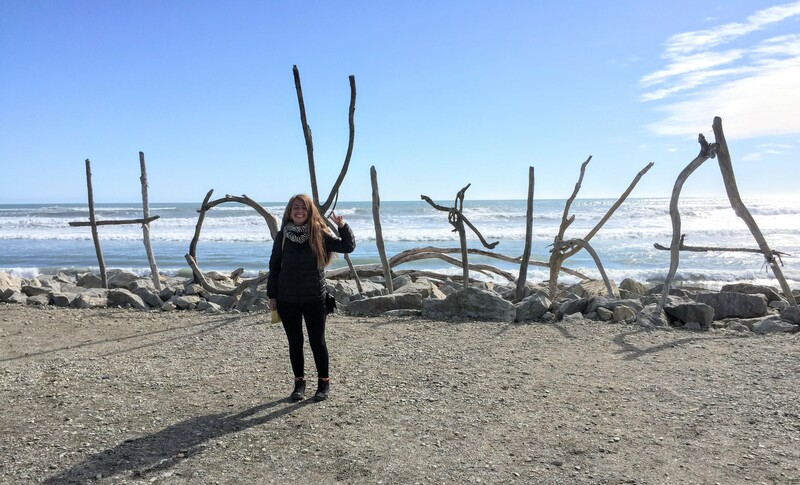 Our first stop was Hokitika. Hokitika is a quiet little town on the West Coast. I walked a bit and went to the beach to soak in the fresh air of the ocean. I was finally in New Zealand! 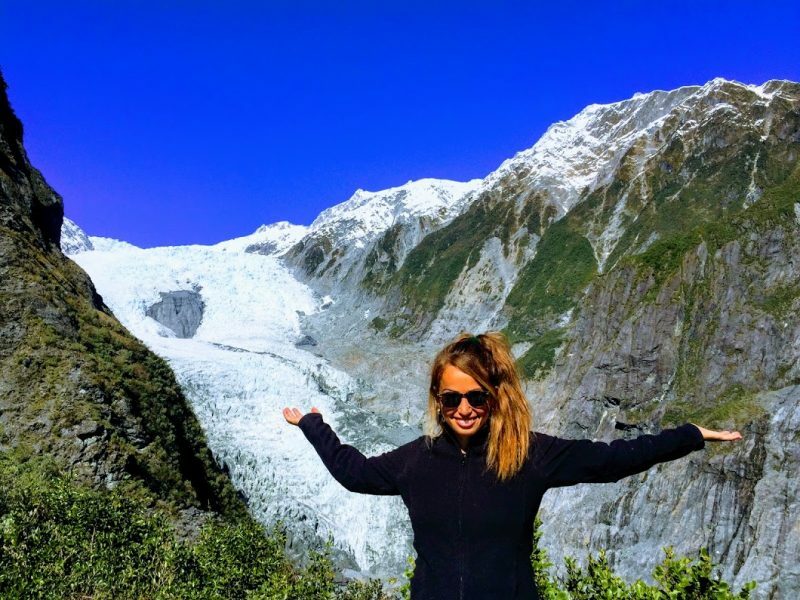 We also stopped briefly at Ruatapu to enjoy the first snow-capped mountains view with the sun (for me) before going straight to Franz Josef Glacier. I didn’t know what to expect. I had never seen a glacier before. And I had randomly decided to stay there for 2 days. When I got there I found out many people go there to do the heli-hike. It’s an activity that brings you in a helicopter on top of the glacier, where you will be able to hike for a couple of hours. Too bad it costs 399 NZD! Definitely out of my budget. I could see the glacier from the bottom (it really looked like snow) but I wanted to do some nice treks around the area. I don’t have a great sense of direction, so I wasn’t keen to do solo-hiking (I had done solo-hiking in the Blue Mountains, near Sydney, and it was cool, but in here it looked like I was hardly going to bump into other people). Luckily, a couple of girls I met on the bus were going to do the same, so we arranged to go together the next day in the early morning. It took us 5 hours to get to the base of the glacier, in a lookout where you could see the glacier up close. 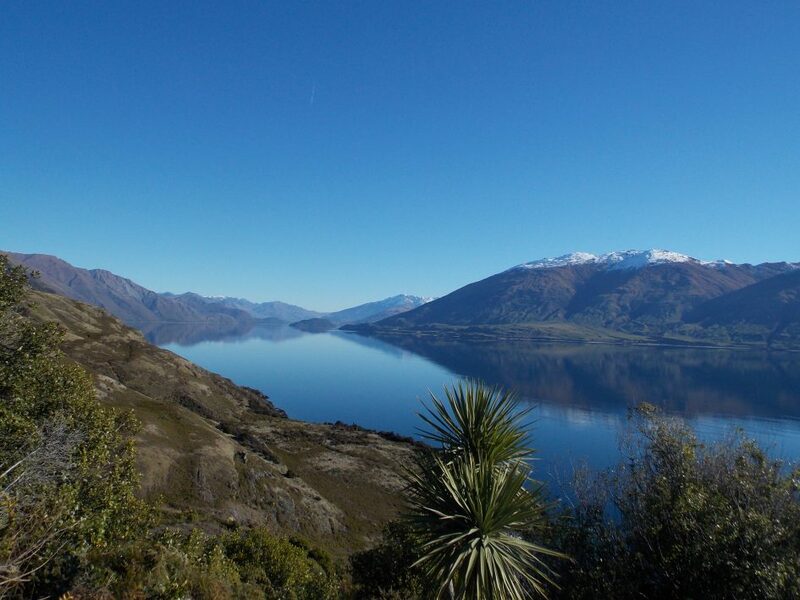 I also had my first encounter with the mirror-lakes of New Zealand on the way. And my expectations were already overly exceeded. (this is what’s like to travel in your -almost- 30s).